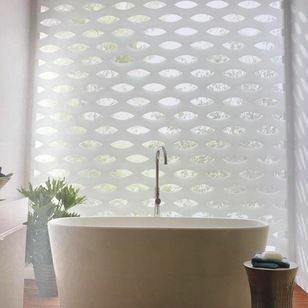 There is great news for folks in the market for quality window blinds in Ottawa: Hunter Douglas has introduced their New Designer Banded Blinds and they are available through Drapery Plus Decor. Available in both vertical and horizontal styles, these quality blinds are ideal for covering wide window expanses and sliding-glass doors. They combine sheer and solid alternating bands of material and are available in a wide selection of colours, treatments and textures, from smooth metal finishes to geometric patterns, as well as in fabric, vinyl and aluminum. These blinds can be positioned to either open or close when they are in the raised or lowered position. Hunter Douglas is the first blind company in Ottawa to introduce Soft Touch Motorization. This innovative and effort-saving home decorating alternative includes a battery-powered, motorized lift system designed for simple, intuitive wand-control blind operation, allowing you to gently pull down on the wand to close the blind, and push up slightly to open. Available in small, medium, and large band widths, banded blinds lift systems are custom clutch and ultraglide. For more information about Hunter Douglas window blinds or any of the products and services we offer, please contact our office. We offer on-site, eco-friendly blind cleaning.